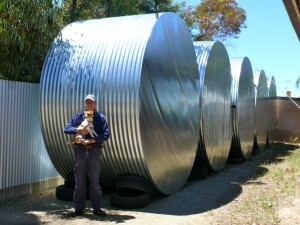 Here you will find The JR Elix galvanised iron range of round domestic tanks. They have been been iconic to South Australia for almost 100 years, and built to last with all tanks being manufactured at our Mannum Tank Facility using galvanised corrugated iron, with a galvanised coating of Z600, in sizes from 450L up to 18000L. 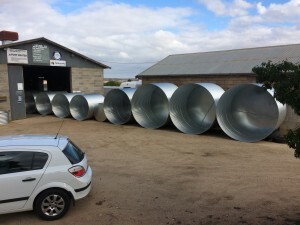 There are many size options to choose from, and each tank can be customised with a wide range of fittings and accessories to suit your application. •The galvanised iron range feature Z600 galvanised steel ensuring a strong and highly corrosion resistant tank. 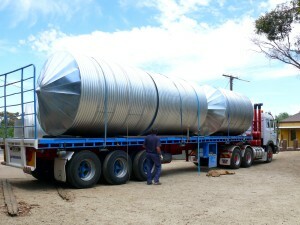 •Our normal process of sealing these tanks is to solder the outside fully, and 80% on the inside, producing one of the strongest galv tanks on the South Australian market. •House supply on town and semi-rural properties. We can supply a full solution including pumps and filters for your applications and advice on the right size tank for you. Contact us for advice. •Fire storage tanks for both residential and business applications fitted out with relevant fire fittings and accessories ensuring compliance to AS 2419. •Rainwater harvesting applications where small to medium volumes can be captured and utilised. Ideal for households to beat the rising town water costs. •They are Vermin and dust proof. •BlueScope Galvanised wall material in Galvanised Z600 finish. 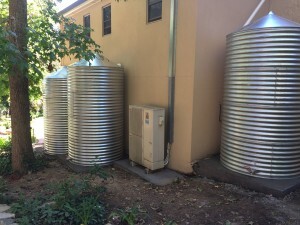 •Additional fittings are available, and location of the fittings can be specified for each tank. Elix Tanks offers a offers a 10 year warranty on its industry leading construction workmanship. A long lasting tank that you can rely on.